Fyodor Dostoevsky was a famous Novelist from Russia, who lived between November 11, 1821 and February 9, 1881. He became 59 years old. Fyodor Mikhaylovich Dostoyevsky was a Russian writer who has had a major impact on both Russian and non-Russian writers. 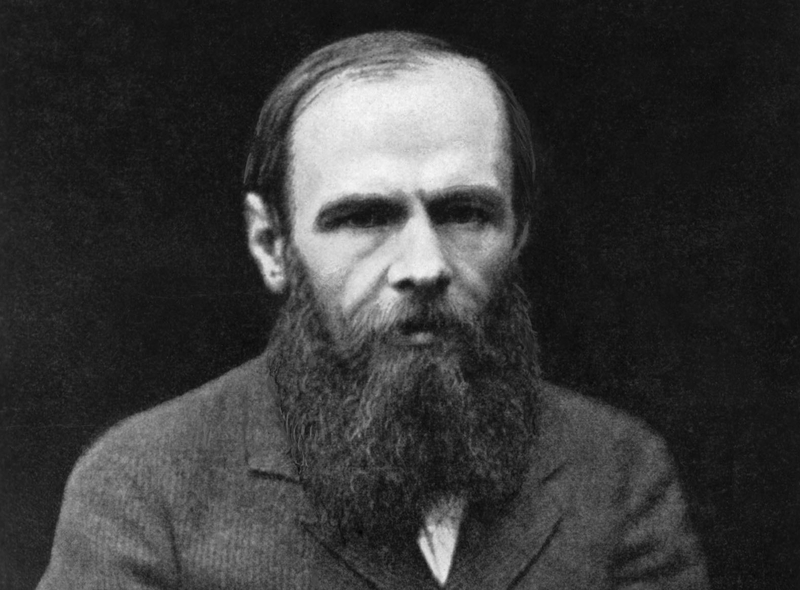 Dostoevsky developed the realistic novel to also investigate human psychology, and especially people who are going through major mental disorders. He was concerned with the Slavic idea and of Christianity, one of the main theses of his was "If God is dead, everything is permitted." 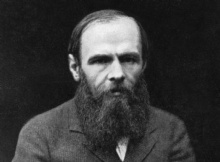 Dostoevsky is often seen as the founder of existentialism. He is born under the zodiac scorpio, who is known for Transient, Self-Willed, Purposeful, Unyielding. Our collection contains 26 quotes who is written / told by Fyodor, under the main topic Happiness. "Happiness does not lie in happiness, but in the achievement of it"
"Deprived of meaningful work, men and women lose their reason for existence; they go stark, raving mad"
"Beauty is mysterious as well as terrible. God and devil are fighting there, and the battlefield is the heart of man"
"A real gentleman, even if he loses everything he owns, must show no emotion. Money must be so far beneath a gentleman that it is hardly worth troubling about"
"The greatest happiness is to know the source of unhappiness"
"The formula 'Two and two make five' is not without its attractions"
"The cleverest of all, in my opinion, is the man who calls himself a fool at least once a month"
"Sarcasm: the last refuge of modest and chaste-souled people when the privacy of their soul is coarsely and intrusively invaded"
"Realists do not fear the results of their study"
"Power is given only to those who dare to lower themselves and pick it up. Only one thing matters, one thing; to be able to dare!" "One can know a man from his laugh, and if you like a man's laugh before you know anything of him, you may confidently say that he is a good man"
"We sometimes encounter people, even perfect strangers, who begin to interest us at first sight, somehow suddenly, all at once, before a word has been spoken"
"To love someone means to see him as God intended him"
"There is no subject so old that something new cannot be said about it"
"There are things which a man is afraid to tell even to himself, and every decent man has a number of such things stored away in his mind"
"The soul is healed by being with children"
"Much unhappiness has come into the world because of bewilderment and things left unsaid"
"Men do not accept their prophets and slay them, but they love their martyrs and worship those whom they have tortured to death"
"Man, so long as he remains free, has no more constant and agonizing anxiety than find as quickly as possible someone to worship"
"Man only likes to count his troubles, but he does not count his joys"
"Man is fond of counting his troubles, but he does not count his joys. If he counted them up as he ought to, he would see that every lot has enough happiness provided for it"
"It seems, in fact, as though the second half of a man's life is made up of nothing, but the habits he has accumulated during the first half"
"It is not possible to eat me without insisting that I sing praises of my devourer?" "If you were to destroy the belief in immortality in mankind, not only love but every living force on which the continuation of all life in the world depended, would dry up at once"
"If there is no God, everything is permitted"